Whether a multi family retreat or cozy cabin for two Phil has many years of experience and can share his expertise with you and your design team to make the most of your site and plans. 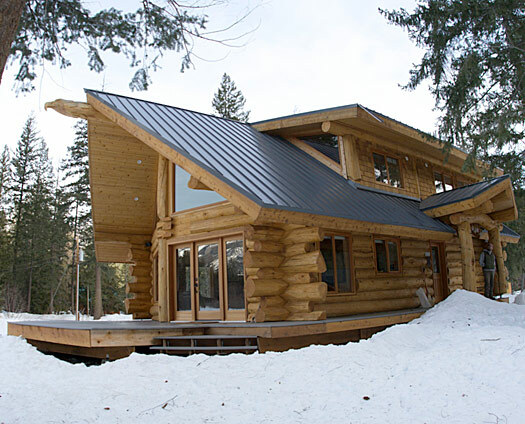 There are many factors to consider when designing and orienting your home in the Methow Valley: slope of land, snow load, winter access, passive solar gain, privacy, views as well as intended use of home. When building in a climate with vast seasonal temperature fluctuations it is critical that these be considered prior to the start of your project. Maximizing the solar gain in the winter while considering the summer sun's stregnth are important when keeping your home at an efficient internal temperature no matter what outside conditions prevail. LRC will give special attention to design effects that will ultimately provide you with an efficient and wonderful retreat to comfortably enjoy your natural surroundings.